A year ago, my husband and I and some friends did Tough Mudder Jacksonville. It was great! If you don’t know anything about Tough Mudder, it is a 10-12 mile run with about 20 obstacles thrown in. You also are not running on nice, paved road; you are running through mud, gunk, muddy water, lakes, hills, valleys, etc. The obstacles include the Artic Enema, where you must jump into a dumpster filled with iced water and swim underneath a wall and to the other side without hyperventilating. Most of the obstacles require team work (10 ft walls to jump over) and are more of a mental challenge than a strength challenge, although if you don’t have any strength it’s pretty tough to get through a lot of them. It’s really fun and challenging. In any case, we signed up for this TM several months ago. I just knew I was going to be pregnant when it came around. What I didn’t know is that I would have found out I was pregnant 1 week before. Finding out I was pregnant went something like this, “…..yes, I am definitely pregnant. I have 2 positive pregnancy tests. Yay! 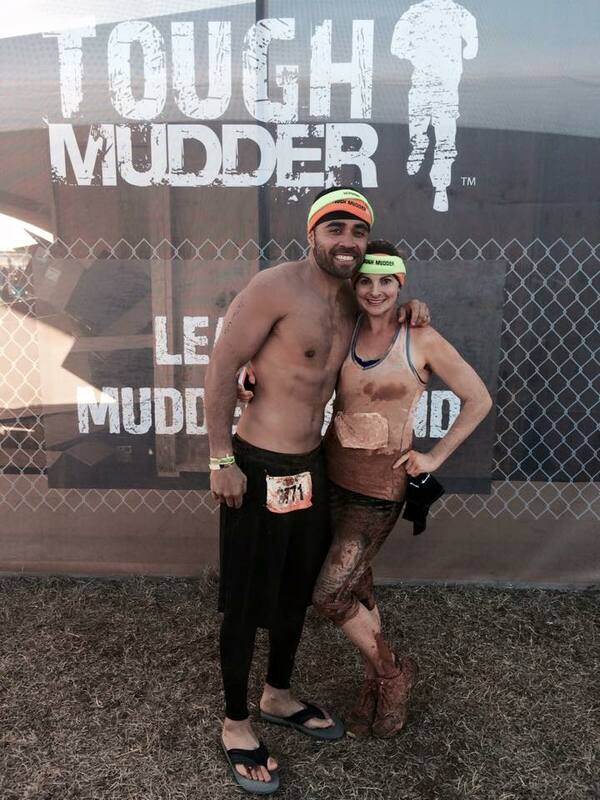 What am I going to do about Tough Mudder?” all said to my husband. I called the doctor I was planning on seeing and they advised me that if I was doing it before then it’s ok to do it now. However, when I explained the obstacles (jumping off a 15 foot plank into water, the Artic Enema, running up a quarter pipe..) the nurse kept saying, “um, no you absolutely cannot do that.” So I turned to Google and asked Mr. Google if any pregnant women had done this. Turns out, many have! I took these many womens’ advice and did not do obstacles which could potentially harm little baby fetus. I did every obstacle except for 5 of them. I decided electrocution was not ideal for baby (yes, you get electrocuted and it’s pretty exhilarating), baby shouldn’t be frozen, and baby shouldn’t be slammed into anything. Baby and I still did crazy monkey bars, climbed walls, carried hubby through muddy water, and a slew of others. The other obstacle was that I had to tell my group that I was pregnant. I definitely did not want to tell ANYONE at this early on but I knew that everyone would be VERY suspect of my skipping obstacles that I had already done before, not to mention passing up the free beer at the end, and probably go back home and mention to their friends they thought I was preggo. So I thought it best to go ahead and tell them (all 18 of them! We had a REALLY large group this time) and swear them to secrecy. I don’t plan on revealing I’m pregnant to anyone else until several weeks down the road. All that being said, I’m really glad I chose to go ahead and do it. Assuming everything goes ok in the next few weeks, I will enjoy telling my baby that he or she ran through mud and swung on ropes and climbed over huge walls when it didn’t even have feet yet!